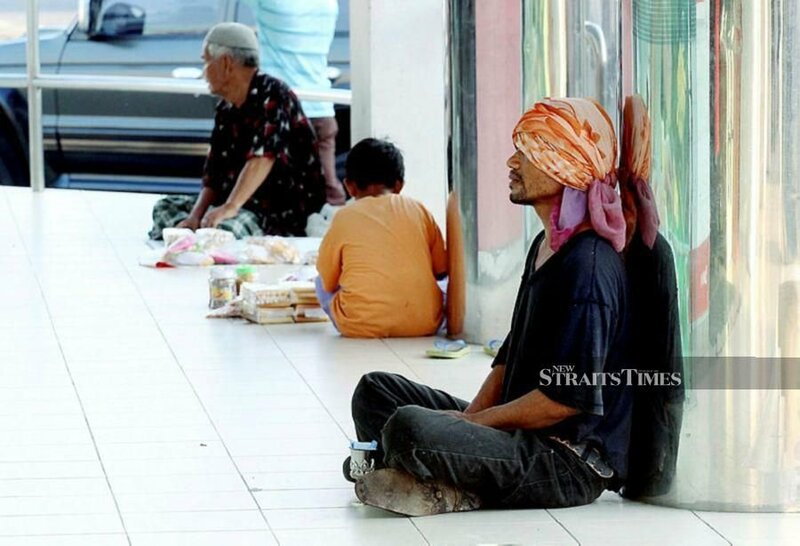 MALAYSIA has been a beggars’ paradise for long. Lately, a new twist has been added to this developing story. More and more foreigners are joining the queue with bowls or hats in hand. Many of them are believed to be used by syndicates to extract money from unsuspecting Malaysians. Syndicates are known to transport their own “vagrants” plucked from the streets of China and elsewhere to various spots in the city. Ill-gotten wealth it may be, but it is a thriving business model for the depraved underworld. Day or night you see them stopping people for money. Others are more courageous. They venture into restaurants begging for money in exchange for packets of facial tissues. In the last few years, a new phenomenon has arisen. Indonesian women have begun leading blind men and women on their begging rounds. Syndicates are also using children to enrich themselves. In March last year, a local tabloid daily reported the police rescuing 11 children aged between 2 and 16. Their rescue led to the arrest of five Rohingya “guardians” from a syndicate that used children as beggars. Quoting the Bukit Aman Special Tactical Squad for Anti-Vice, Gambling and Gangsterism principal assistant director SAC Mohd Nadzri Hussain, it said the syndicate made a daily collection of between RM80 and RM90 from 7pm to 11pm. Every day, the syndicate members — a man and four women — and the children travel from their Ampang apartment to Bukit Bintang and KLCC. As the children ply the streets, they are never away from the watchful eyes of the syndicate members. This may be a small-time operator, but multiply this manifold and you get a complex organisation operating throughout Asia. The presence of nationals from India, Afghanistan, China, Myanmar and other parts of the world in the streets of Malaysia signals this loathsome network. The victims are both the beggars and the donors. Numbers are hard to come by. And if at all there are, they are dated. Welfare Department statistics made available to the New Straits Times in April 2016 show that 338 foreign beggars were rounded up in 2015. In 2014, 252 of them were rounded up, while in 2013, 113 foreign beggars were hauled up. Clearly, there has been an uptick. The problem has all the makings of getting out of hand. A good question to ask: is the Destitute Persons Act (DPA) 1977 put to good use? The DPA is designed to serve two purposes: to rehabilitate the destitute and to control vagrancy. Judging from the mushrooming problem of foreign beggars, more work needs to be done on controlling vagrancy. Letting the police and the Welfare Department clear the beggars off the street may not be the best way to solve this burgeoning problem. Such an approach is at best after the fact. The problem must not be allowed to enter the country in the first place: the syndicates and vagrants must be stopped at the border. Readers will recall the 2016 report of two brothers from China raking in millions from Malaysians running a syndicate of crippled foreign beggars. This entry was posted on Wednesday, April 10th, 2019 at 7:24 pm	and is filed under Ethics, Morality and Patriotism. You can follow any responses to this entry through the RSS 2.0 feed. Both comments and pings are currently closed.